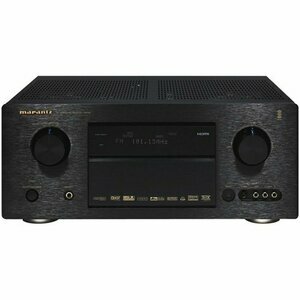 Marantz SR7001 A/V Receiver | Product overview | What Hi-Fi? According traditional Marantz trademarks, the SR7001 is a non compromise digital surround receiver, built to excel in movie and music reproduction, functionality and ergonomics. It supports all the latest multichannel decoding formats for an impressive, enveloping 360 degree surround sound. Our own Marantz Room Acoustic Calibration by Audyssey automatically optimized the sound to the room. Independent power supply circuits are incorporated for the FL display, audio and video sections for maximum separation, clarity and dynamic range. Together with specially selected high grade components, all elements work in harmony to recreate the emotion, exactly as the artist had intended.